Tax filing day will be here before you know it -- and scammers know it, too. 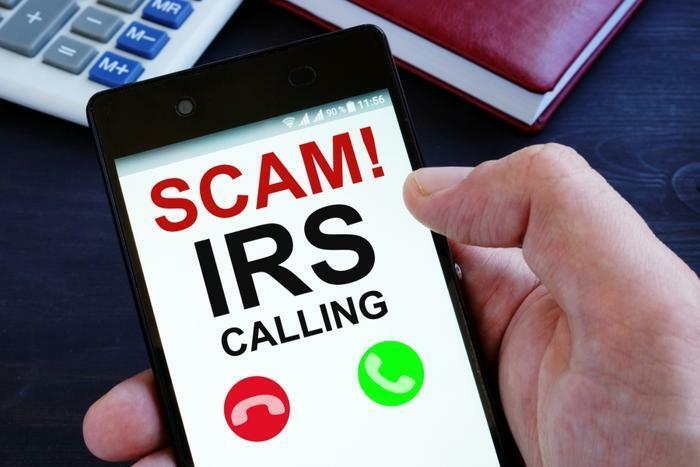 Have you received a call where the caller ID says “IRS” or a voicemail that says “We are reaching you to inform you that the IRS is filing a lawsuit against you”? Or worse, has someone warned you that you’re about to be arrested or deported for failure to pay back taxes? The good news is that it’s not the Internal Revenue Service (IRS) calling and threatening you. ConsumerAffairs recently covered email phishing scams from people pretending to be the IRS. Now that we’re getting close to April 15, scammers are resorting to phone calls to con unsuspecting consumers. In an effort to give consumers the necessary insight to better detect imposters and phone scams, the Federal Trade Commission (FTC) has partnered with AARP to produce a series of tips on how consumers can save themselves from being scammed. You’ll get a good idea of how these calls sound in the video below, which will hopefully give you an advantage at spotting and avoiding the scammers. Don’t send money by wire transfer, prepaid card, or gift card to someone claiming to be from the IRS. That’s a scam. The IRS will not require a specific type of payment. Report the call. Report phony IRS calls to the Treasury Inspector General for Tax Administration (TIGTA) at tigta.gov or to the FTC at ftc.gov/complaint. The more the agency hears from you, the more it can help fight scams. Call to demand immediate payment using a specific payment method such as a prepaid debit card, gift card, or wire transfer. Generally, the IRS will first mail a bill to any taxpayer who owes taxes. Demand that you pay taxes without the opportunity to question or appeal the amount it says you owe. You should also be advised of your rights as a taxpayer. Threaten to bring in local police, immigration officers, or other law enforcement to have you arrested for not paying. The IRS also cannot revoke your driver’s license, business licenses, or immigration status. Threats like these are common tactics that scam artists use to trick victims into buying into their schemes. And the tax preparer you’re using? As if scammers showing up in your email in-box and on your phone aren’t enough, consumers should take extra precautions when enlisting the services of a tax preparer. Taxpayers are likely to let their guard down a bit as we get closer to the filing date, and that’s even more of a reason to double-check the validity of whom you choose to prepare your taxes. Picking a tax preparer off a flyer on a bulletin board or a sign in someone’s yard might land you in the pocket of a rogue tax preparer. If you’re looking for someone to do your taxes, take a few minutes to read ConsumerAffairs’ coverage of how to spot a “rogue” tax preparer. It could save you money, hassle... and a real contact from the IRS.